We can break symmetry by eliminating solutions within each symmetry class. For instance, the Lex-Leader method eliminates all but the smallest solution in the lexicographical ordering. Unfortunately, the Lex-Leader method is intractable in general. We prove that, under modest assumptions, we cannot reduce the worst case complexity of breaking symmetry by using other orderings on solutions. 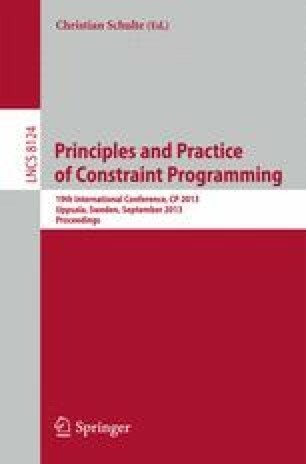 We also prove that a common type of symmetry, where rows and columns in a matrix of decision variables are interchangeable, is intractable to break when we use two promising alternatives to the lexicographical ordering: the Gray code ordering (which uses a different ordering on solutions), and the Snake-Lex ordering (which is a variant of the lexicographical ordering that re-orders the variables). Nevertheless, we show experimentally that using other orderings like the Gray code to break symmetry can be beneficial in practice as they may better align with the objective function and branching heuristic.